Dr. Michaelson’s career in the dental field impressively spans nearly 40 years in total, and he’s very proud to be a part of the wonderful team at Bristol Family Dental. To learn more about his background, make sure to keep reading below. Dr. Michaelson’s father was actually a dentist, and he thought early on that it would be very easy for him to become an even better dentist in due time. It turned out that it wasn’t easy at all! This realization helped him to understand his dad much better, and they grew very close before he passed away. Today, he couldn’t imagine working in any other profession. Dr. Michaelson’s educational journey started at Yale, where he completed his undergraduate degree in mathematics. Next, he went on the dental school at the University of Connecticut, achieving his doctorate. He is also very passionate about continuing education and has undergone advanced training in a wide variety of different specialties, including dental implants, dental sleep appliances, root canal therapy, crowns and bridges, and more. 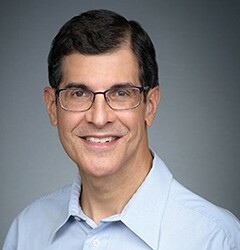 His most recent continuing education was with the Spear Institute, which includes online study, on-site courses, and monthly meetings with other Spear Dentists in Connecticut. Outside of work, Dr. Michael loves music and regularly volunteers at the University of Hartford’s radio station, WWUH 91.3 FM. He hosts a jazz show from time to time there. He also watches moves and travels in free time. He is passionate about competing in Masters track and field, even participating in the Words Masters Championship in September 2018 in Spain! He’s also made it to the second round of tryouts for Jeopardy and hopes very much to make it to the show one day.